Contacts are the lifeline of every smartphone device. Without contacts your smartphone can't be labeled as a smartphone. But what if, one day out of the blue, you notice that some of your contacts go missing. Well, in that case you may wish to find the best iPhone contacts recovery tool as you do not want to lose any of them. For this reason, we're glad to introduce you the best and the easiest method to recover contacts on iPhone and that too, in just a few minutes. 1. 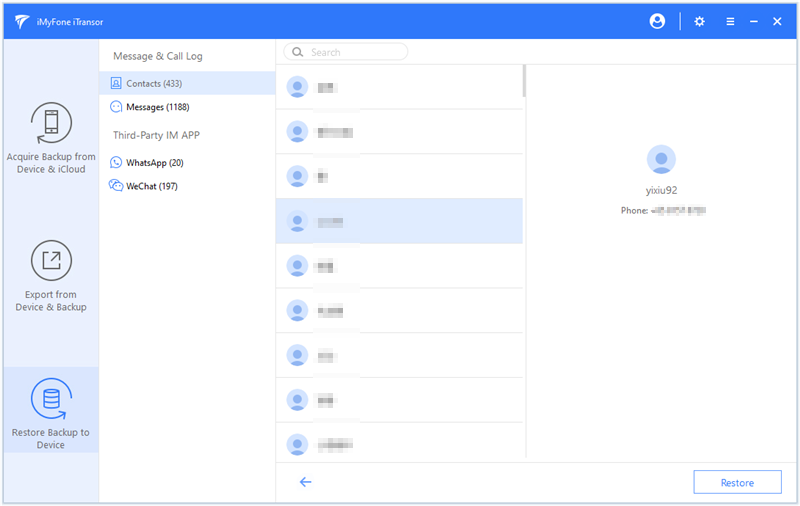 Why iMyFone D-Back Can Recover Your Deleted Contacts? 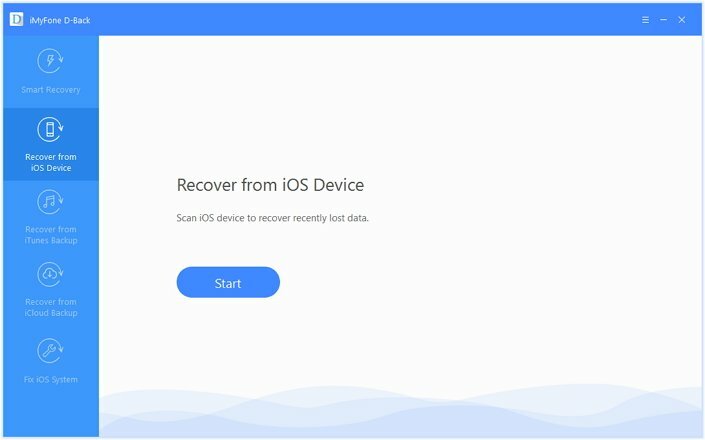 Without waiting any longer, let's uncover the best tool to perform iPhone contacts recovery or 20+ types of other data recovery over your iOS device. iMyFone D-Back is a highly efficient and reliable tool as you easily recover almost all of your lost data in a hassle free way. Moreover, when it comes to data recovery, this mighty tool supports all major data types including contacts as well. 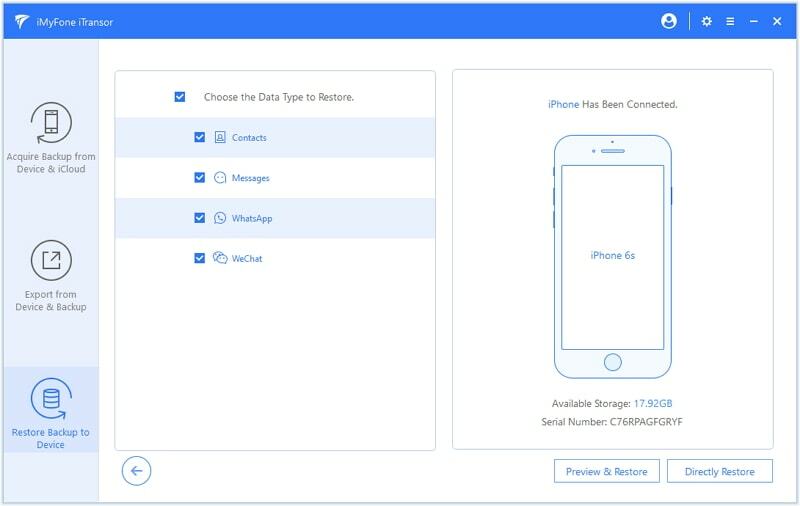 iMyFone D-Back is a proven method to recover contacts on iPhone or for any other data type and highly recommended due to its highest success rate in the market. Before moving on to the tutorial for recovering contacts on iPhone, let's understand how it actually works. SQLite is a database technology used by iPhone to store the location of your data. So, whenever the data is deleted from your iPhone, be it accidentally or intentionally, the location status (at which the data was stored) just changes from 'Allocated' to 'Unallocated'. The data will still be there on your device but goes into a hidden state which is why you won't be able to access it anymore. It gets permanently overwritten when you add new data to your device. Now, here comes the need of a powerful and reliable data recovery program, like iMyFone D-Back, which will enable you to find and recover your deleted data in a hassle free way. Hence, it is always suggested that not to perform any activity or add new data on your iPhone if you've experienced data loss scenario. Or else, your deleted data may get unrecoverable. Step 1 – Grab your copy of iMyFone D-Back from its official website and install it over. Launch the software and opt for 'Recover from iOS Device' mode followed by the 'Start' button. Step 2 – Establish connection between your PC and iPhone using authentic USB cable. Tap on 'Next'. You are then required to opt for the data types that you wish to recover. Select 'Contacts' in this case and hit 'Scan' button. Step 3 – From the results screen, you can preview the data recovered by the software. 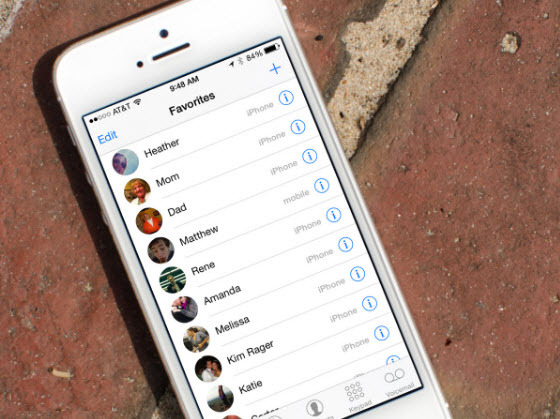 Simply, choose the contacts you need and hit 'Recover' to initiate iPhone contacts recovery. 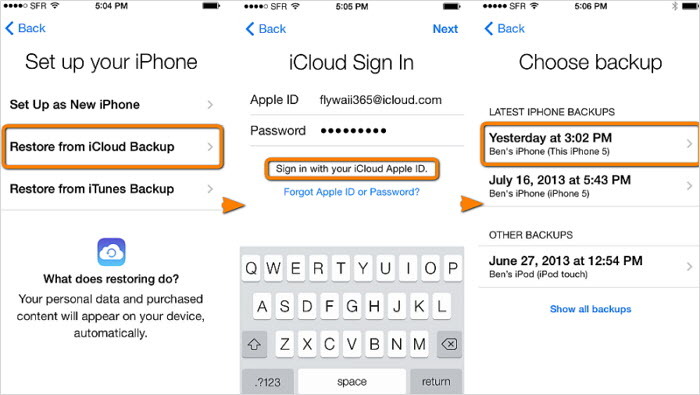 iPhone users are offered with 2 methods to backup data - iTunes and iCloud. If you backup iPhone using iTunes, then your iPhone backup is stored on computer. If you use iCloud to backup your iPhone, the backup is stored on iCloud storage. 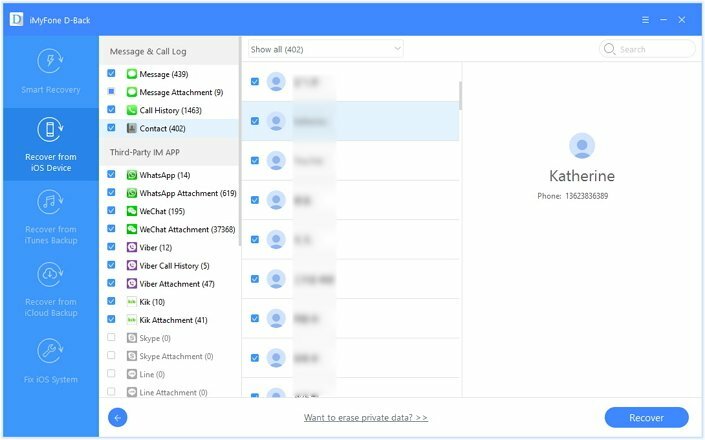 When you lost or deleted any contact, you can restore the backup to your device in order to recover the contacts. Step 1 – Launch 'Settings' on your iPhone and get into 'General'. Select the 'Reset' option, then opt for 'Erase All Content & Settings' and confirm your actions. Step 2 – This will wipe off your device entirely and the device will be automatically rebooted. 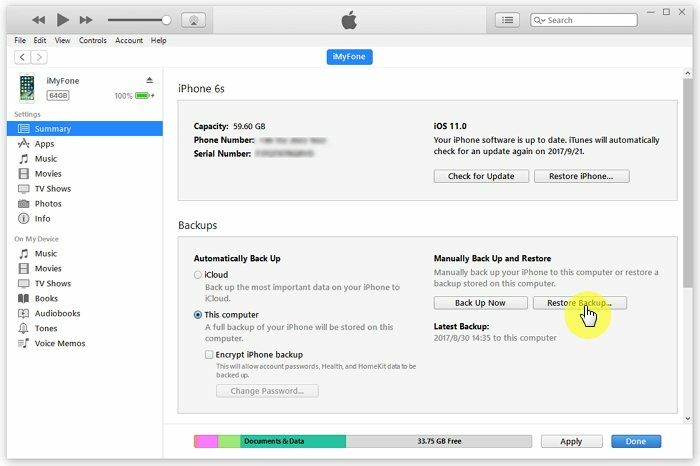 Now, while you set up your device, make sure to opt for 'Restore from iCloud backup' option when you reach 'Apps & Data' screen. 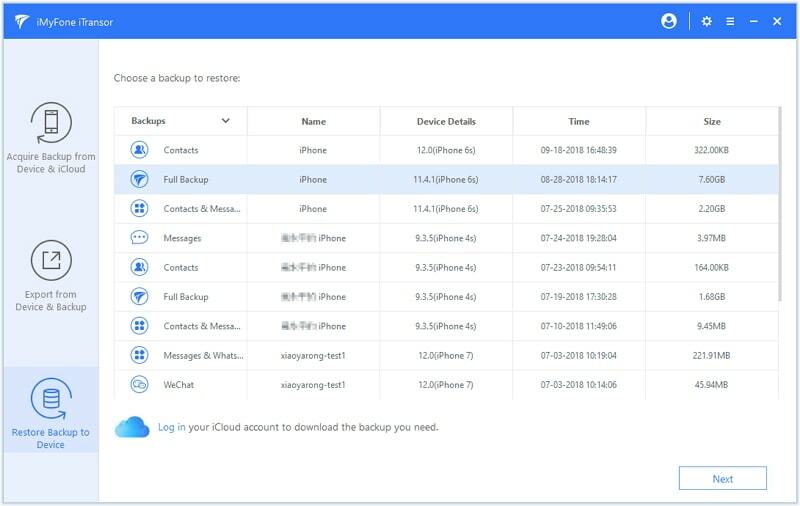 Step 3 – Next, sign in to your iCloud account where your backup is and the next screen will display the entire list of iPhone backups you have on it. Choose the preferred backup file and let the restoration to complete. Step 1 – Connect your iPhone to the PC using an authentic lightning cable and run the iTunes application. Tap on the 'Device' icon at the top left and get into the 'Summary' section. 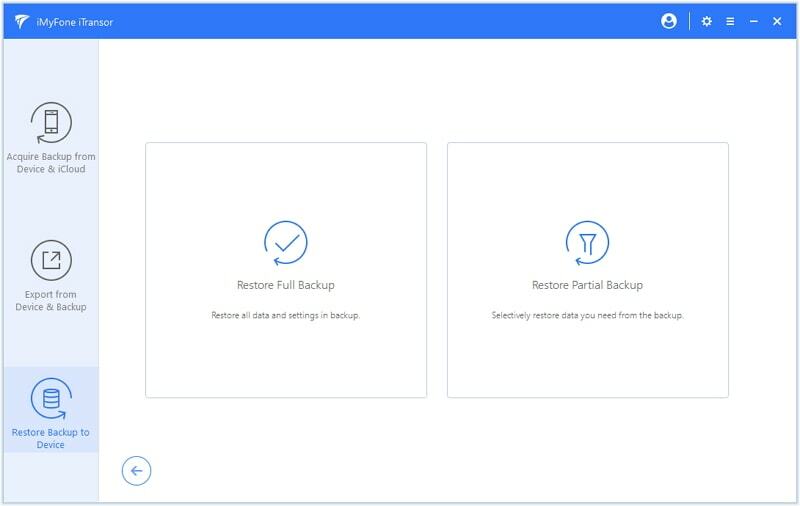 Step 2 – Now, under the 'Backups' section, hit the 'Restore Backup' button. From the appearing pop up window, you need to opt for the preferred iPhone backup and hit 'Restore' afterwards. Though you can restore your iPhone backup using the conventional ways, i.e. iTunes and iCloud, they do lack in certain essential functionalities. For instance, you simply cannot perform iPhone contacts recovery selectively as they are designed only to restore the entire backup. 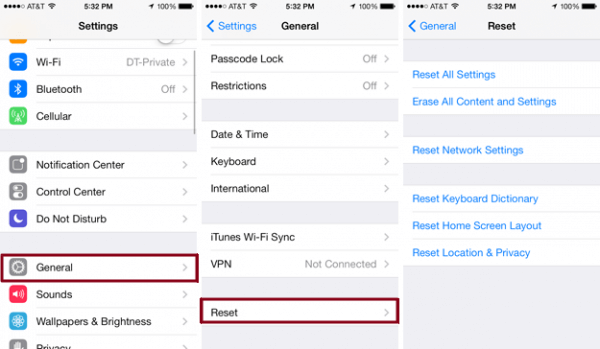 Moreover, you are destined to suffer from data loss if you use iTunes or iCloud for iPhone contacts recovery. This is because these restore the previous backup to your device and all the newly added data on your iPhone will get wiped off. Disheartened with the drawbacks of iTunes and iCloud methods? Don't be disappointed as we have this bonus tip for you - iMyFone iTransor. This mighty tool enables you with all the functionalities and privileges that iTunes or iCloud lacks in when it comes to data backup and restore. Unlike iTunes or iCloud, you perform both selective backup and restore of your iTunes or iCloud backup in a hassle free way. Moreover, you also can preview the data on your backup file prior to performing backup or restore operation. You can not just restore only Contacts but also WeChat, WhatsApp, Messages (iMessages) seperately from iTunes/iCloud backup or another iPhone to your device. Step 1 – First, connect your iPhone to your PC. Then, install and launch iMyFone iTransor and opt for the 'Restore Backup to Device' option. The software will automatically detect and list all iTunes backups on your PC. Select the desired backup you wish to restore and hit 'Next'. Step 2 – You'll now have two options, opt for the 'Restore Partial Backup' option as we want to restore contacts only. From the upcoming screen, opt for 'Contacts' and hit 'Preview & Restore' or 'Directly Restore' if you do not wish to preview it. Step 3 – Lastly, you'll be asked to either 'Merge' or 'Replace' the contacts over your iPhone. Opt for the desired option and you're done.